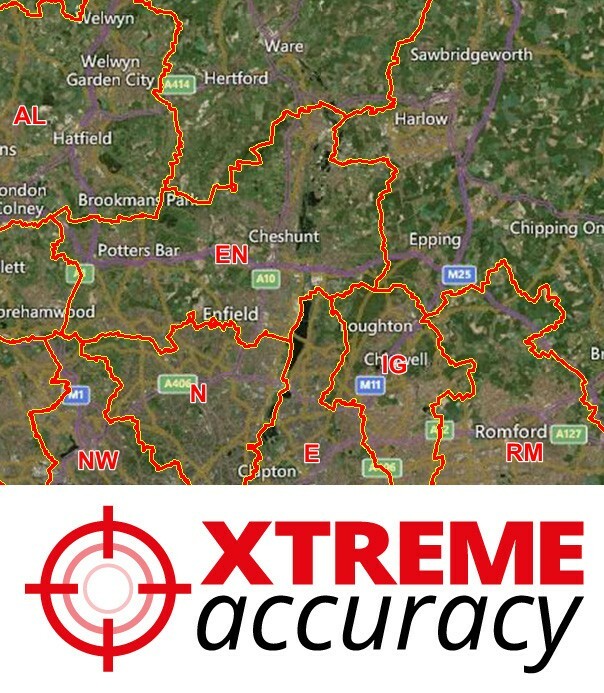 XYZ Postcode Area Boundaries have been upgraded to our New "Xtreme Accuracy" Standard. 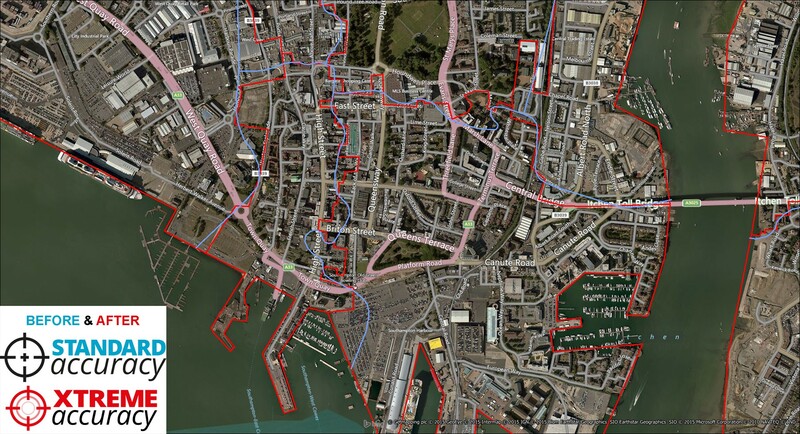 This means the Boundaries are re-Digitised so they not only Fit around the Postcode Points but Now Follow Real Physical Features on Air Photography, such as Streams, Railways, Fences, Walls and Roads. Postcode Areas are the top level of the UK postcode system and are indicated by the first two (in a few cases one) letter of the postcode. There are 124 postcode areas in total and the name of each area reflects the post town on which they are centred, for example EH for Edinburgh or B for Birmingham.These are one of the most widely used datasets in digital mapping, typically for sales and marketing where they can be used to do a thematic map e.g. of sales of different products geographically. The 2018 Version was released in January 2018 and is current to the Q3 PAF release. Approximately 600 postcode sectors have been completely revised in this release since the previous edition in November 2016. Two new sectors have been added to cover the Battersea Power Station development site. The lines can be styled to show the type of boundary and do not include the coastline. 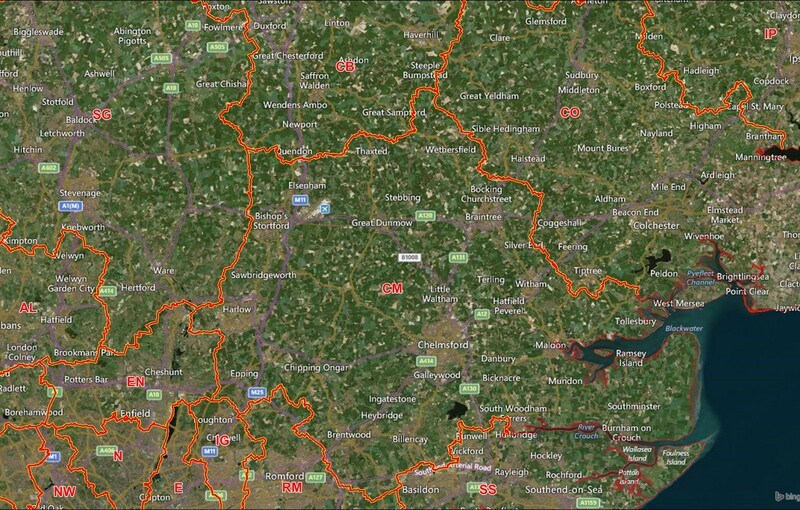 The standard formats available are for ArcGIS Shape Files, MapInfo Professional Tab files or Google KML files. Please select which format you require and then download the appropriate Zip file. Samples for a large part of Yorkshire may be downloaded in MapInfo Tab, ArcGIS Shape or Google KML formats and include polygon layers for Postcode Areas, Districts and Sectors both with (crosstab) and without (noextra) the Address Counts. The samples also include layers for the line boundaries without the coastline. Author - Not applicable as Area polygons were created by merging Sectors. Scale - Used in the XYZ data model as the display scale, but not relevant to postcodes. Revised - Not applicable as Area polygons were created by merging Sectors.